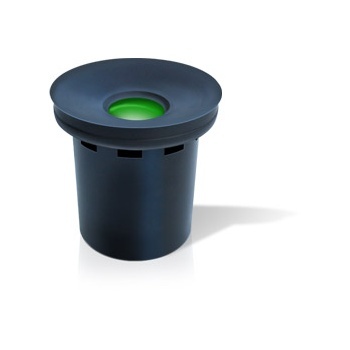 This product has now been discontinued and is replaced with the UR52.102/2 MB ActiveTrap for Polycarbonate Urinal Bowls. The patented and exchangeable drain trap insert siphon used in the URIMAT takes up the urine and drains it into the sewage system (without using any water). The hydrostatic float seals the insert (without sealing liquid) and prevents bad odour from developing. This siphon is suitable for use with URIMAT polycarbonate waterless urinals.